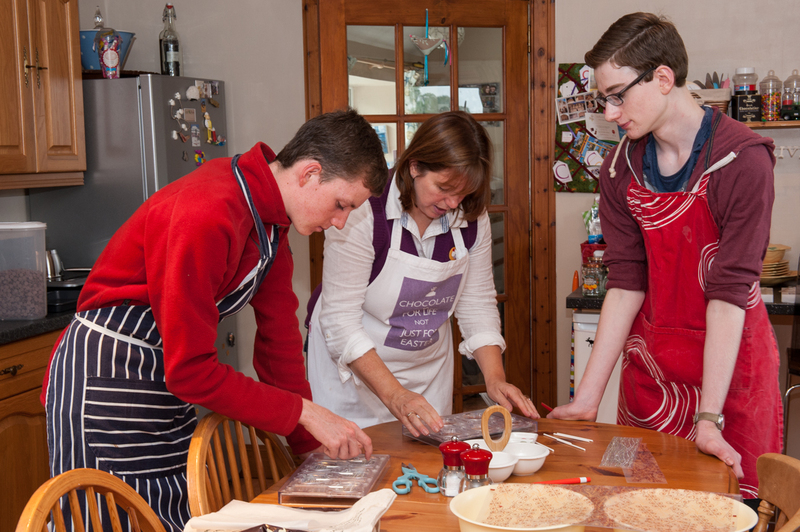 What could be more fun than getting together with a group of friends for the day to have a chocolate making class in the heart of the Angus countryside (and to take away a whole lot of chocolate at the end of it)? 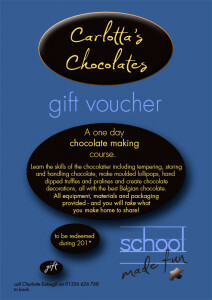 Or you may just want to come by yourself and meet other chocolate enthusiasts. What better way to impress your woman (should you need to) than by learning how to make chocolates for her? And if you don’t want to do the course yourself, what a novel gift this makes! 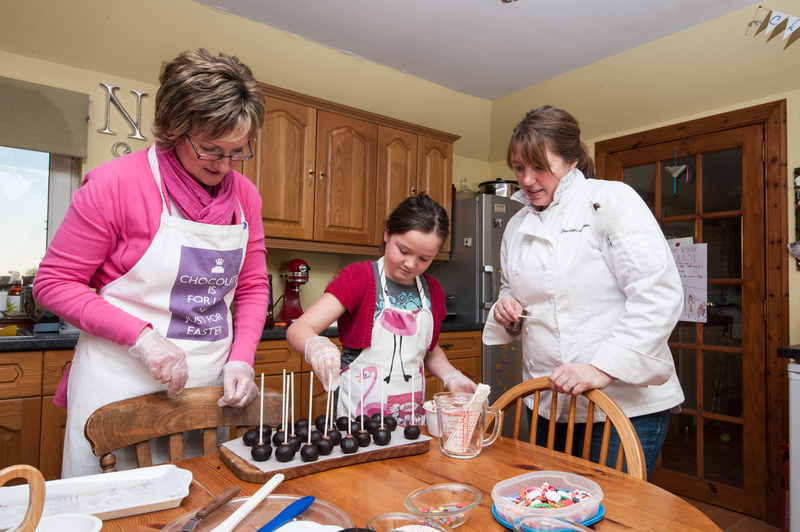 During her classes, Charlotte shares with you her expertise in making fine chocolates during either a 6 or 3 hour session. While these normally take place in our chocolate kitchen at Wardhill, we’ll consider requests to travel to your home. We’ll ply you with coffee and cake during the day as well as lunch. Please pay only after you’ve checked dates and availability with us. An introduction to fine chocolate making. 6 hours. £125 per person, up to 4 participants. There’s a lot more to chocolate making than meets the eye. During this course, Charlotte will teach you what you need to know about storing and tempering chocolate couverture, how to create fillings and mould shapes as well as how to give your chocolates some pzazz with cocoa butter transfers. And then there’s the fun of packaging them at the end. 3 hours. £70 per person, up to 4 participants. 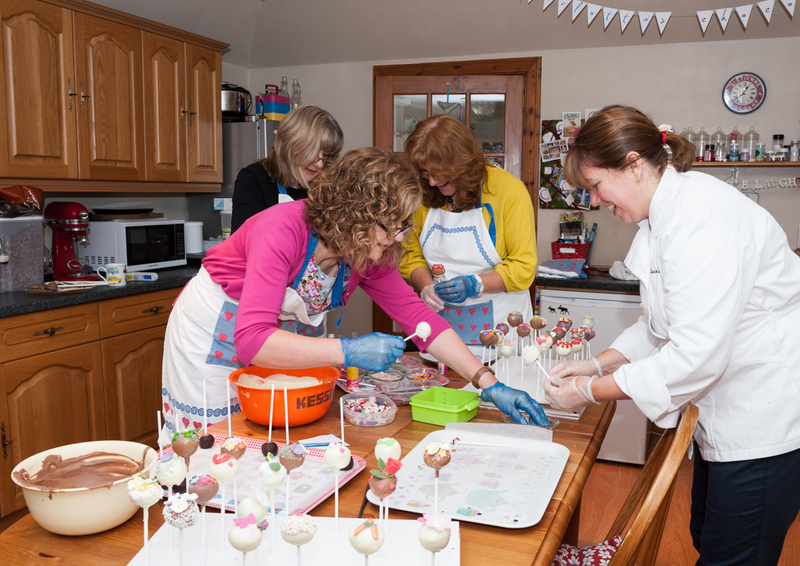 If you’ve seen the cake pops on this site and been impressed, this short course is the ideal chance to learn how to make your own – they not only taste great, they’re a fabulous gift too. As well as learning the essential chocolate skills you need to get the smooth chocolate with a snap that coats the cake pops, Charlotte will help you perfect the cake and buttercream mix at the heart of a cake pop. Then comes the fun part: decorating and packaging your creation. While Charlotte uses professional equipment in her chocolate kitchen, she demonstrates the techniques with equipment you will probably have already.